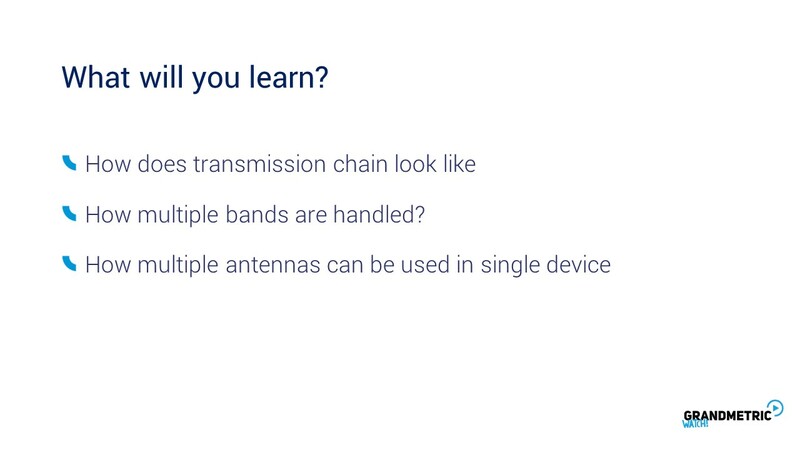 Single stream (single antenna) consists of baseband processing, where packets are transformed into symbols, this goes into tx chain and the antenna. 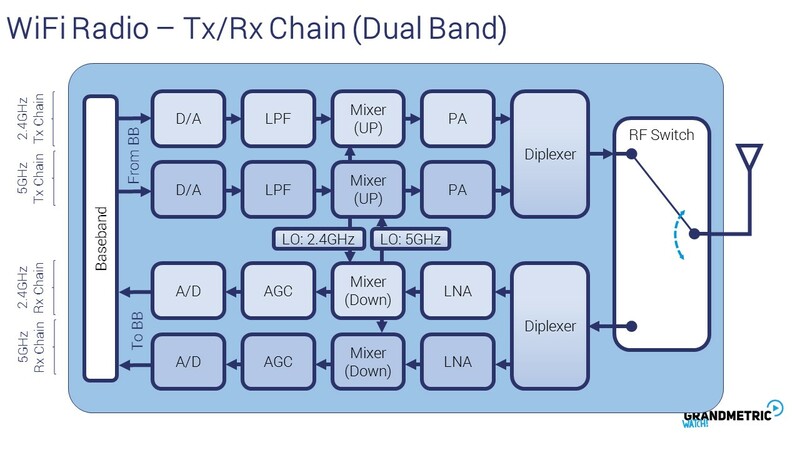 During reception, signal goes through rx chain and reaches the baseband processing. Tx chain conists of DAC, which creates analog signal. This signal is filtered and upconverted. Signal is amplified and diplexed with stream from different band (in case of dualband device). In the receiving chain, signal is amplified using low noise amplifier, downconverted, then gain is normalized and converted into digital samples. If we have multiple antennas, single baseband splits into multiple pairs for tx/rx, each for single antenna. We know, that the device must perform some signal processing and include all processing chains, but even thou, it is quite compact. 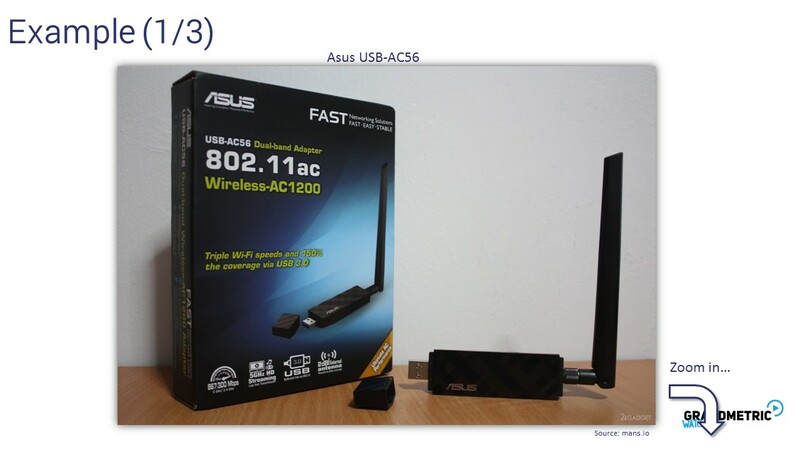 Often, the largest element of the 802.11 adapter is an antenna. It is plugged via USB port and is a bit larger than an old-fashioned memory stick. The reason that it is so small is because many elements are intergrated. Here you can see what is inside the adapter. From the left, where signal is incoming, there is an external antenna connector. There is also set of intenal antennas, which are used for 5GHz band. Due to higher signal frequency and therefor shorter wavelength, these antennas can be smaller. Signal goes through transmitter/receiver switch. Depending of the direction of the signal: transmitted goes through power amplifier, and received trough low noise amplifier. 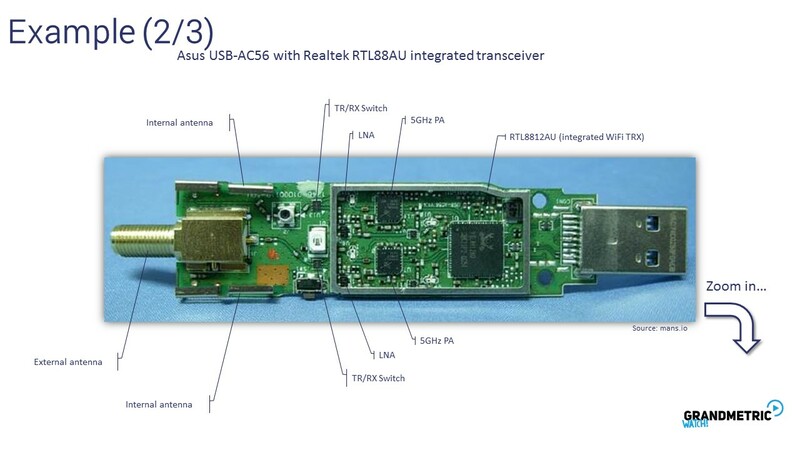 Signal is processed in the RTL8812AU chip, which combines WLAN MAC and RF. It also provides suport for USB 3.0 interface. The same device we saw as a PCB is presented here as a schematic. Antennas and transcievers are connected either by PA or LNA depending on the direction. These samples go through ADC/DAC to the baseband processing block inside RTL8812AU. 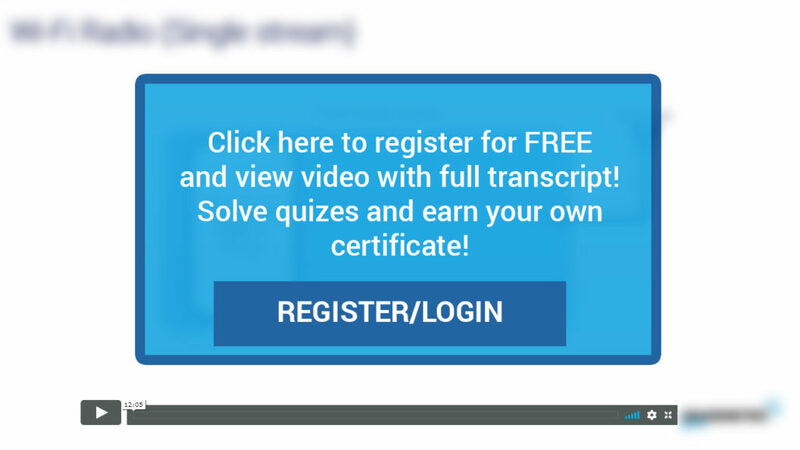 This is controlled by MAC Configuration Control and Memory, which deals with all the timing and access procedures. This block also receives user data via USB interface. 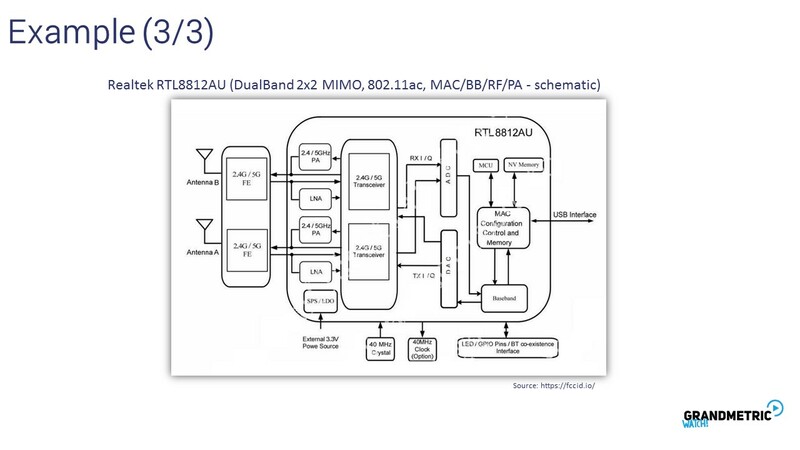 So, what happens in physical layer in 802.11? Let’s take a look on this based on 802.11n amendmned. First, data is scrambled. This proces mixes bits in order to reduce probability of long sequences of same bit values, and also prevents from bulk errors. If an error in channel lasts for several bits, after descrambing in receiver they are spread over a longer time, which makes tchem easier to correct. Then scambled bits are encoded in order to provide error protection. Single data pack is split into separate streams. 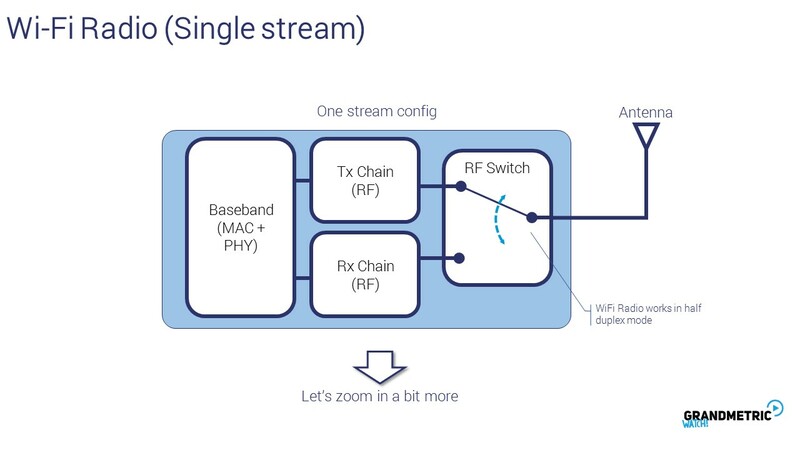 In 802.11n we can have up to 4 streams. 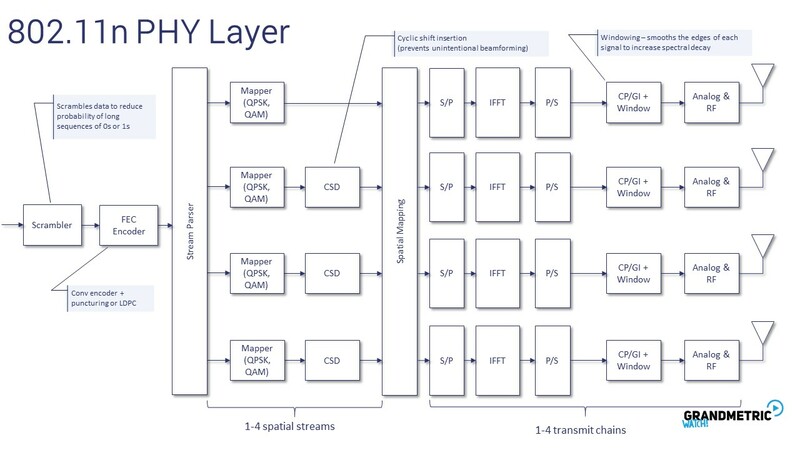 Bits in stream are mapped using any supported modulation mapping (QPSK, N-QAM). Each stream is mapped individually. Additionaly, streams are shifted in relations to one another in order to prevent accidental beamforming. All these streams are then maped on separate spatial chains. There comes OFDM processing. Symbols are transformed to paralel and IFFT is calculated. Output values are transformed back to serial. Then CP and GI are appended. Morever signal is windowed to incease spatial Decay. Such samples go to ADC and RF. Each spatial stream is processed in the same manner. 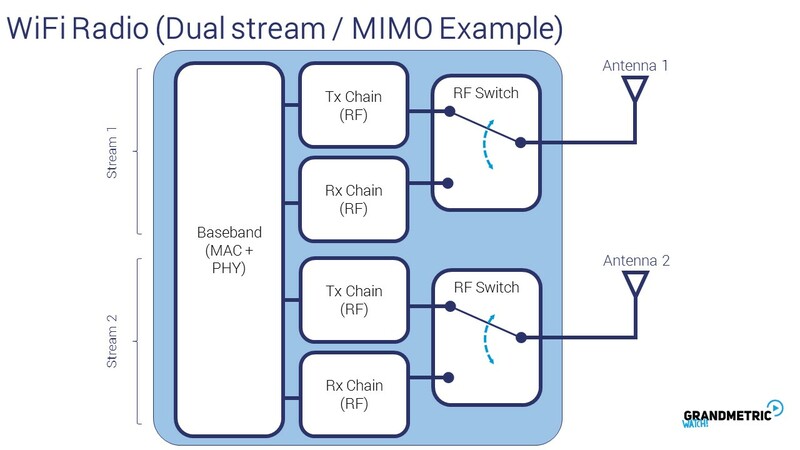 802.11n supports up to 4 spatial stream (ie. 4 antennas).